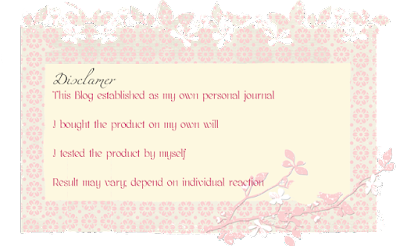 It takes a forever determination to review about skin product since you have to test it in a period of time and summarize the result. 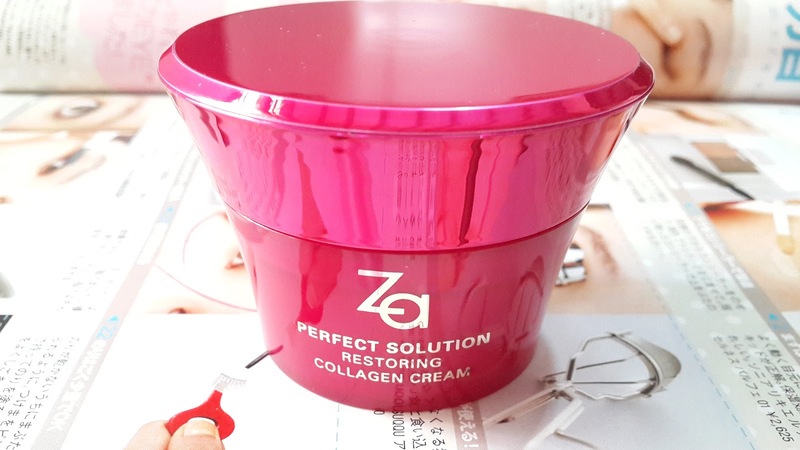 In short, ZA Perfect Solution Restoring Collagen Cream works as lavish moisturizer for the skin. 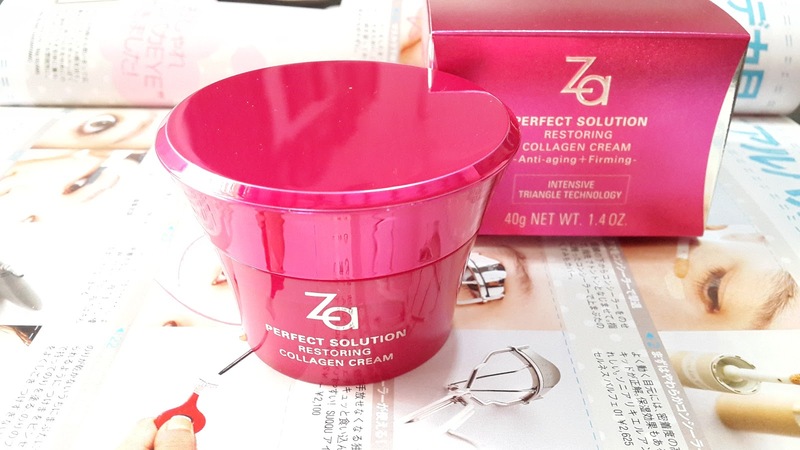 What makes this product as ZA's prominent product? 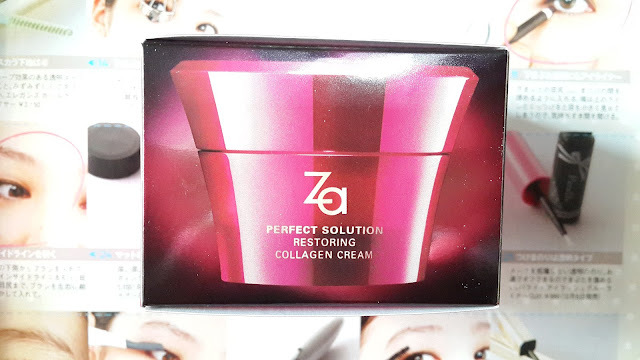 Equipped with 7 Trillion Collagen Capsules, this collagen cream makes wrinkles less visible and keeps your skin looking firm, smooth and youthful. 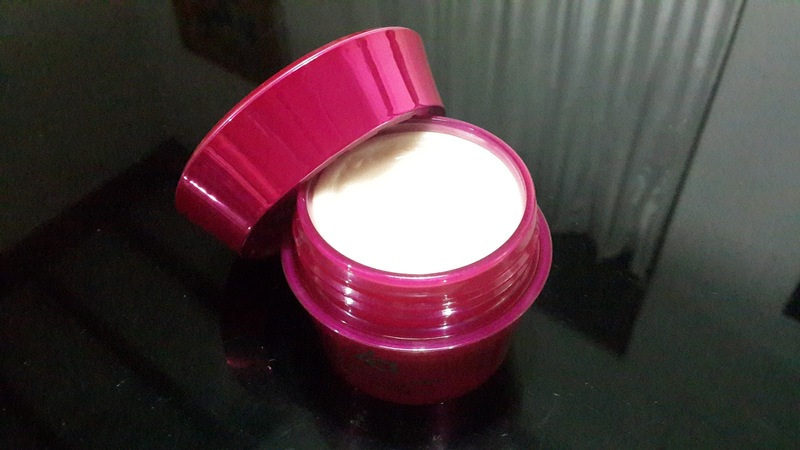 It can improve and prevent wrinkles caused by dryness and aging, tighten slack skin and impart bouncy resilience. A high-performance, anti-aging skincare line formulated with nature-derived plant seed extracts and marine collagen to give your skin a youthful resilience and a silky glow. 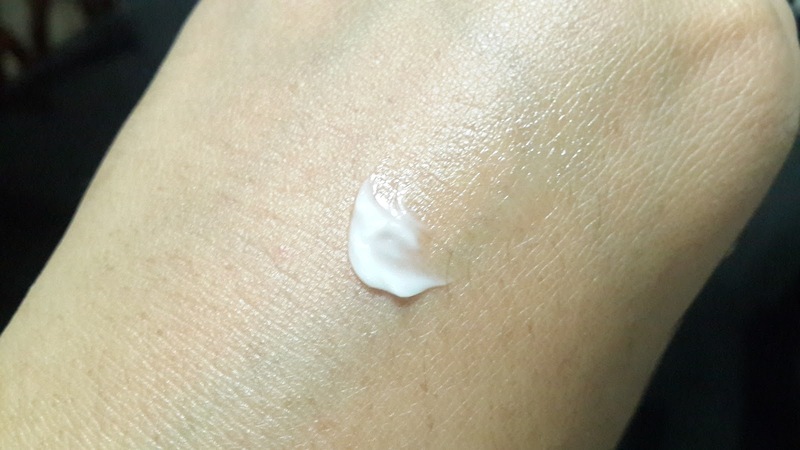 As the final step in your daily skincare routine, smooth an appropriate amount over face with fingertip. Za PERFECT SOLUTION is a skincare line formulated with nature-derived plant seed extracts and marine collagen to give your skin a youthful resilience and a silky glow. 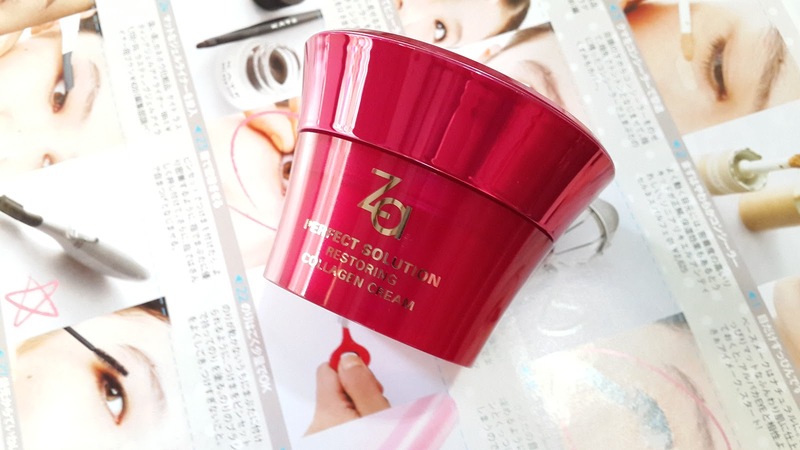 Za's original INTENSIVE TRIANGLE TECHNOLOGY works on three levels, promoting firmness, translucence and moisture retention. It boosts your skin's firmness, clarity and hydration from its very core. The secret to firm glowing skin is to fortify it from core. And now, Za holds the key! Imparts, cultivated and fortifies firmness Collagen is a tough, fibrous protein that plays a vital role in forming and supporting the skin structure. 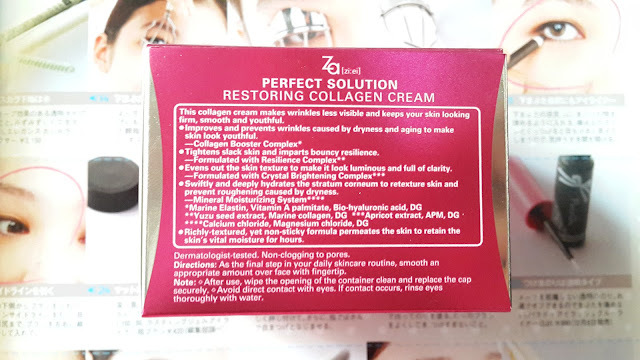 Formulated with Resilience Complex (a compound of marine collagen, yuzu seed extract and DG). Imparts firmness to your skin, and cultivates and fortifies it to retain skin's inherent resilience and keep it feeling youthfully plump. 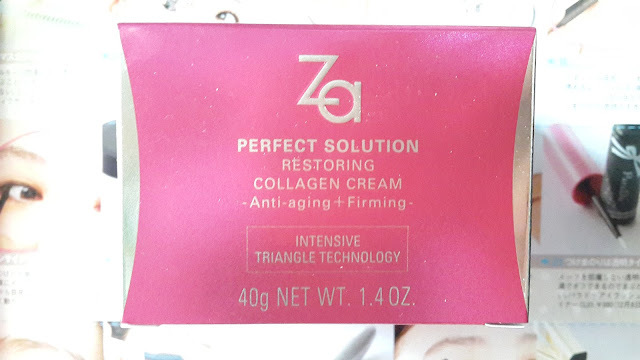 INTENSIVE TRIANGLE TECHNOLOGY boosts your skin's firmness, glow and clarity. 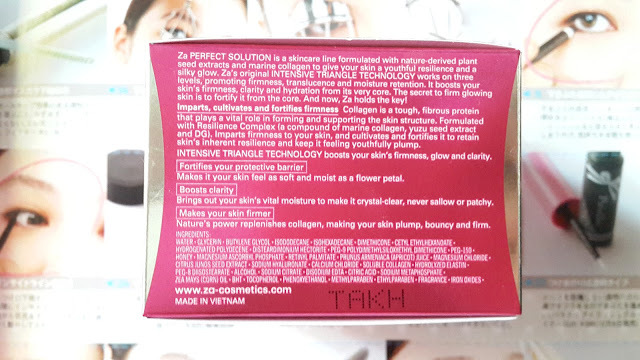 Fortifies your protective barrier; makes it your skin feel as soft as a flower petal. Boosts clarity; brings out your skin's vital moisture to make it crystal-clear, never sallow or patchy. Makes your skin firmer; Nature's power replenishes collagen, making your skin plump, bouncy and firm. This collagen cream makes wrinkles less visible and keeps your skin looking firm, smooth and youthful. 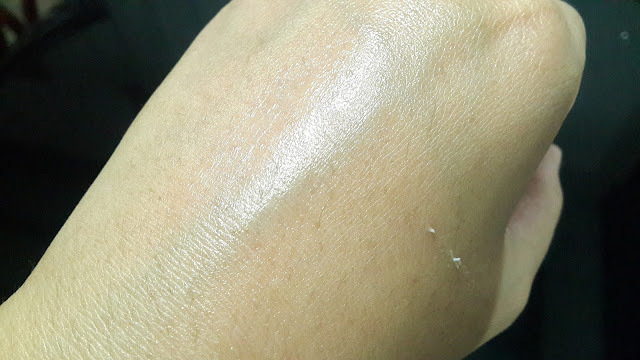 - Richly-textured, yet non-sticky formula permeates the skin to retain the skin's vital moisture for hours. It's dermatologist-tested and not clogging the pores. 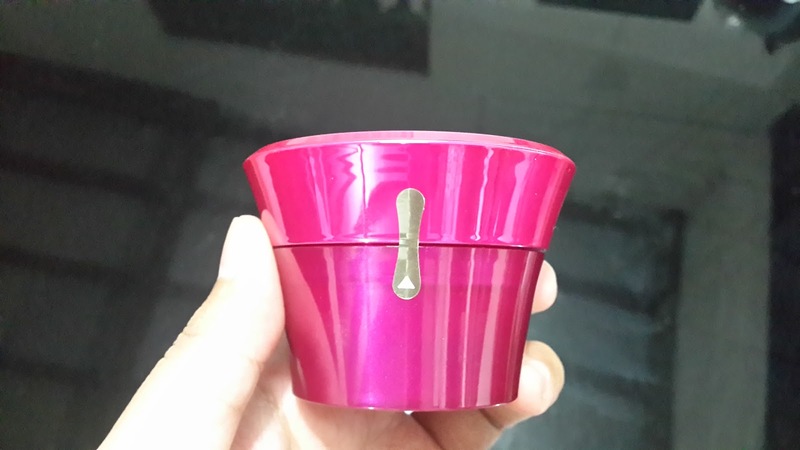 In terms of packaging, Perfect Solution offers eye-catching edgy Magenta and sturdy tube which depicts captivating and modern design. 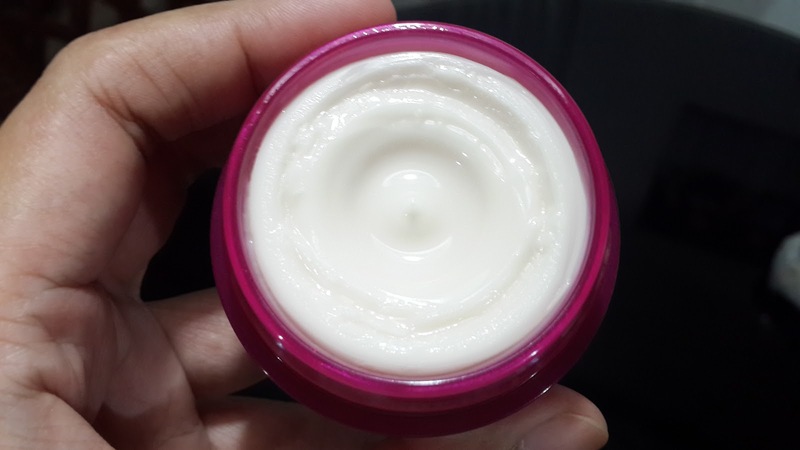 Whereas, the cream which holds all the supreme power of collagen capsules offers a highly-bouncy-and-moisturizing cream that surprisingly fascinates in term of texture. Yes, the texture is delightedly thick yet bouncy and also non-sticky. It easily permeates into the skin and leaves no sticky feeling; just moist.